Oscars season may be just behind us, yet when Hamburg visit their Bundesliga bugbears Bayern Munich on Saturday, Die Rothosen will be aiming to triumph in the category of Unlikeliest Win at the Allianz Arena for 2017/18. After Bernd Hollerbach's men rock up in Bavaria this weekend, the troubled team will file past the paparazzi, down the red carpet and into one of world football's most intimidating venues. The Red Shorts have been here many times before, but an away triumph against Bayern has become such a rarity, that the team from Germany's second-largest city would be forgiven for failing to prepare a winning speech, even on the off chance. Watch: Bayern and Lewandowski's 2017 HSV scoring spree. Sandro Wagner has excelled in his performances in a supporting role since arriving at Säbener Straße from Hoffenheim in January, yet it is leading man Robert Lewandowski who thrills in playing the deadly marksman and villain to HSV's hopes when these teams meet. Hamburg's disappointing run this term has seen them rack up just 18 goals in 25 Bundesliga matches, the lowest tally in the division. 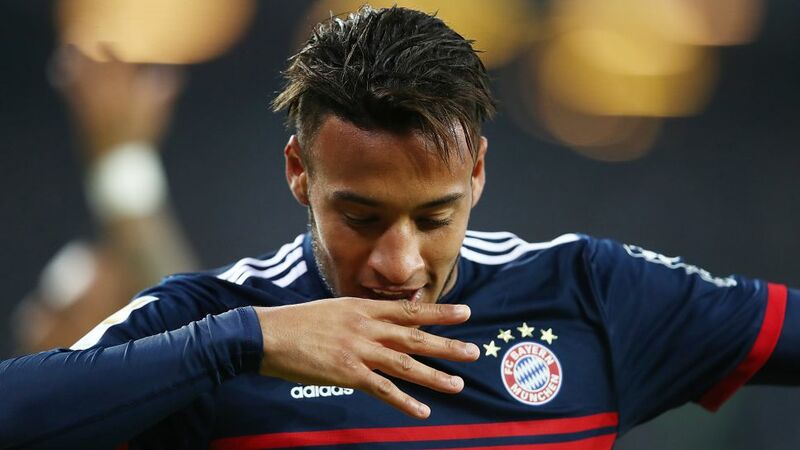 To place that into perspective, Bayern's prize-winning Pole has put 20 goals past Saturday's opponents, thus managing to score more on his own against this team down through the years than the entire Hamburg side have registered this term. Jupp Heynckes's men have been making such sweet on-field music this season that they seem destined to pick up, if not the Most Original Score, then certainly the best one. Owners of the most outstanding goalscoring statistic in a single campaign, when they netted 101 times in 1971/71, the defending champions have managed 59 so far this season, nine more than Borussia Dortmund, the next best. Historically, this fixture has produced more goals than Tom Hanks has received movie award nominations, yet unfortunately for Der Dino, they have mostly been scored by their opponents. In their very first Bundesliga encounters in 1965/66, Bayern won 4-0 in Hamburg and 3-0 at home, before compounding their opponents' misery with a 2-1 DFB Cup triumph that season. Fast forward to the current era, and things appear even worse for the division's second-from bottom team. Bayern have won the last six games in a row against Hollerbach's boys, a run that includes a couple of 8-0 demolitions and a 5-0 spanking. Indeed, in their last seven home matches against HSV, the Bavarians have steamrollered their rivals while chalking up a bewildering 44 goals, with few who witnessed it likely to forget FCB's 9-2 triumph in 2013, a day when Claudio Pizarro scored four. Watch: Relive Bayern Munich's recent birthday celebrations! Yet, if Hamburg are to adhere to that famous quote from Batman that says, "The night is darkest before the dawn, and I promise you, the dawn is coming," they must raise their individual and collective efforts to superhero levels, especially considering that a victory would bring to an end the Bundesliga's longest winless run [12 games]. As unlikely as an away win seems, football does produce it's share of Hollywood endings and should we witness one on Saturday, the Hamburg script would be worthy of Oscar gold. Click here for the Bayern Munich vs. Hamburg Match Centre!